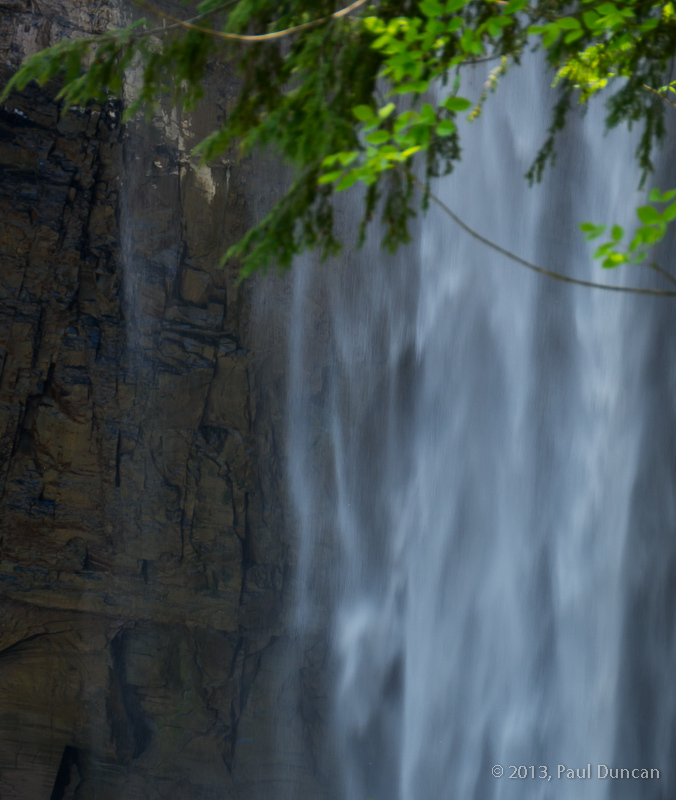 Lori and I spent a good part of a superb spring day exploring Taughhannock Falls State Park. We hiked the North and South Rim Trails and ignored the Gorge Trail which appeared crowded despite this being a weekday and schools not let out yet. 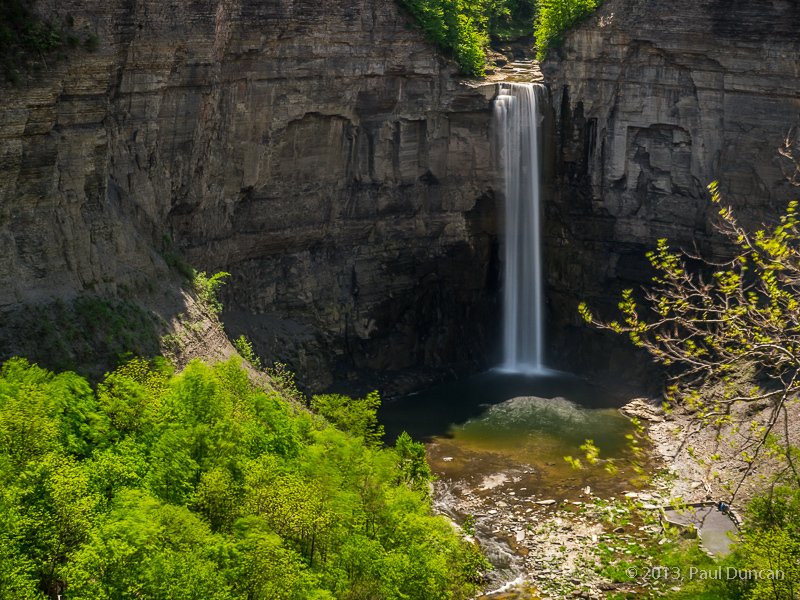 The main attraction, of course, is the 215-feet-high Taughannock Falls. There is one location, the Falls Overlook, on the north rim that provides a nice open view of the falls but it requires the visitor to squeeze out of their Escalade and huff and puff down more than a dozen steps (or you can skip the steps if you aren’t in great condition). 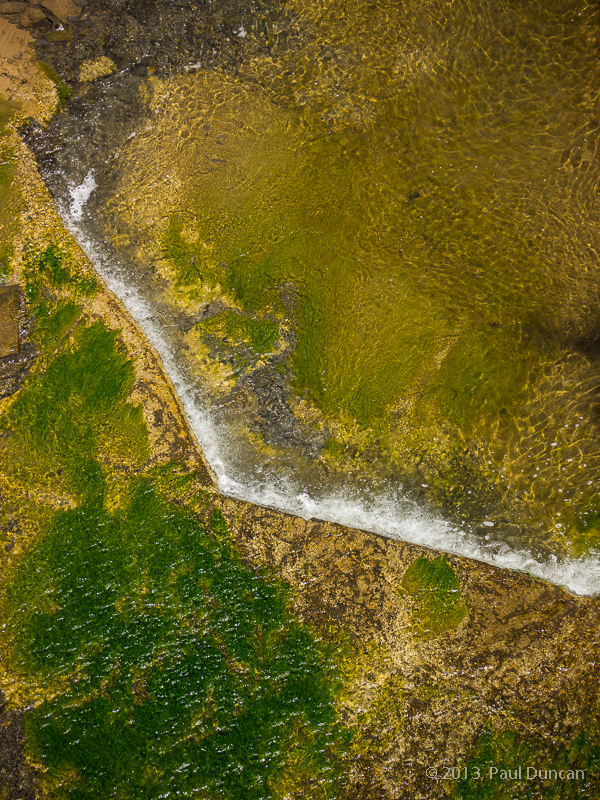 It’s worth it though–a quick pic with the smartphone, a heroic struggle back up the steps, and you’re off to fetch ice cream or go shopping, or whatever seems appropriate for celebrating the wilderness experience, another wonder of nature Instagrammed. There are other appeals too. 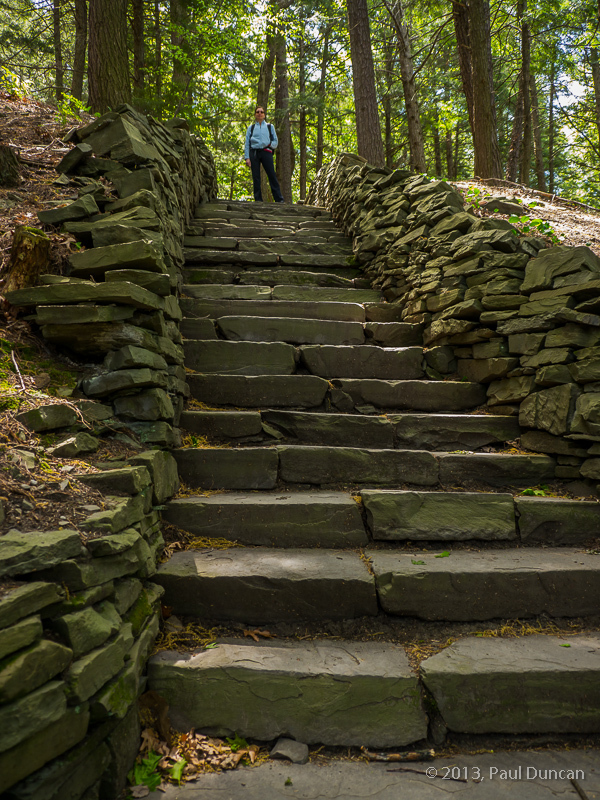 The stonework on trail steps and lookouts is amazing. 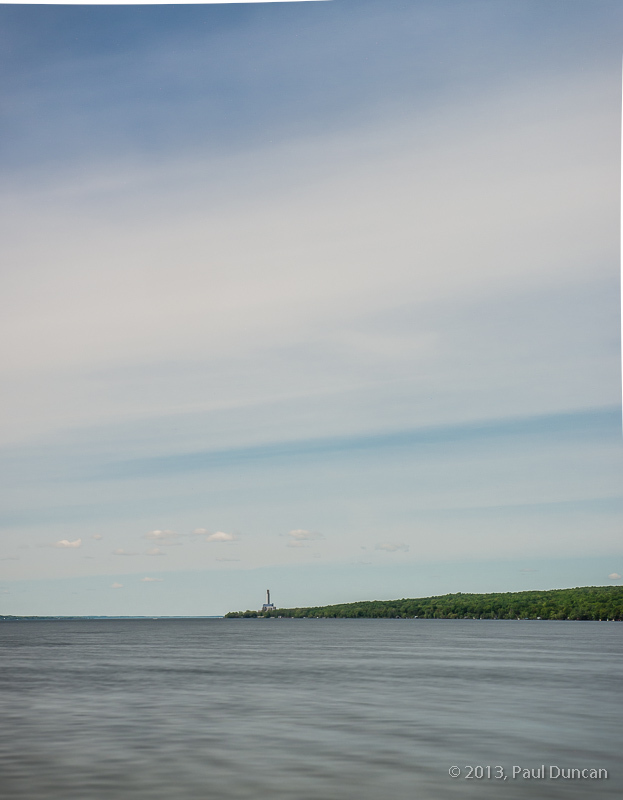 They’re enduring monuments to the labor of the depression-era CCC. 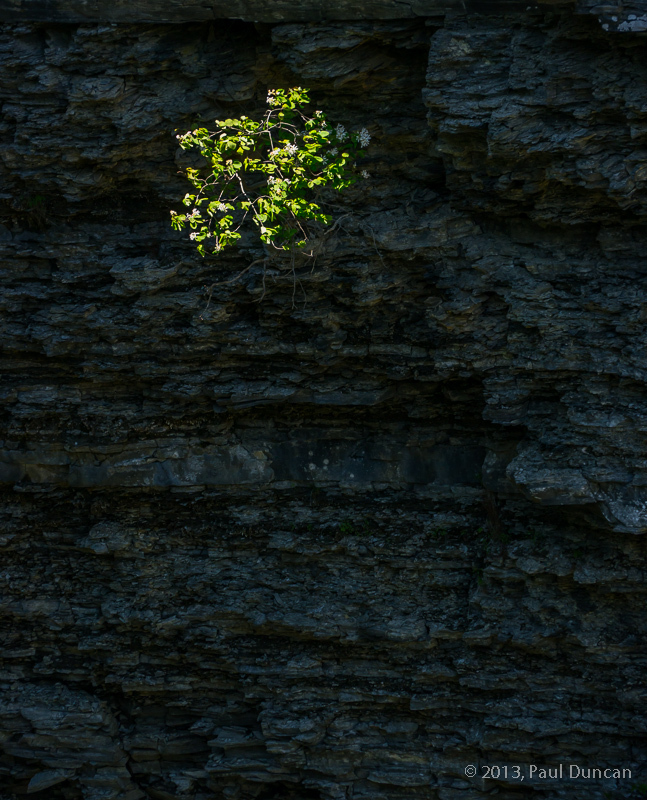 We spotted quite a variety of wildflowers and birds along the way, including a group of young turkey vultures getting in some flight training along the steep cliff walls. 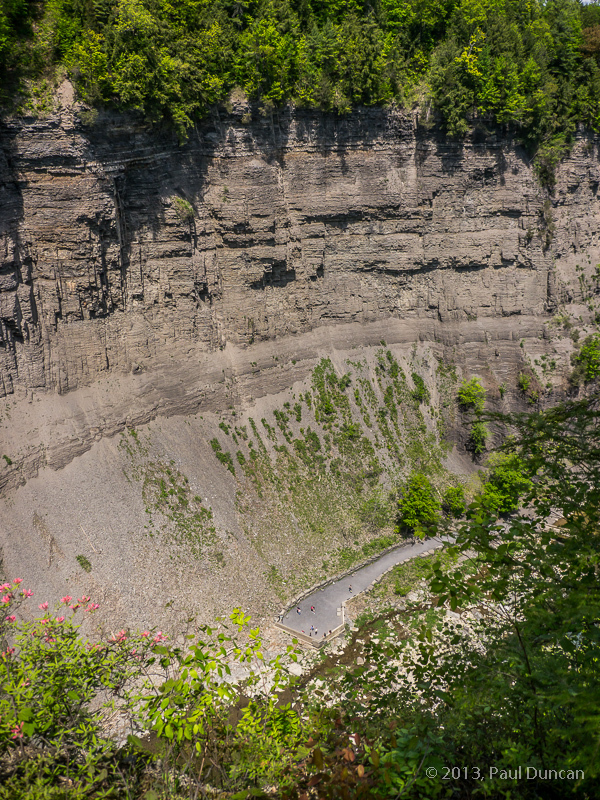 Fans of Devonian geology have a field day (sometimes literally) in the Taughannock gorge; it offers a detailed portrait of 400 million years of earth history in the area, even when it was located near the equator. 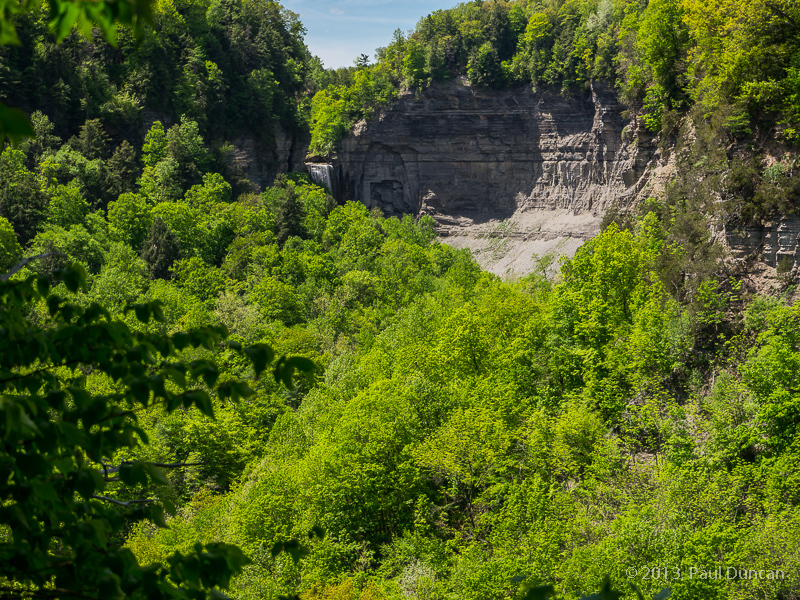 The woods along the South Rim Trail are beautiful mature mixed deciduous and evergreens with brief peeks into the Taughannock gorge opened along the way. The North Rim Trail is less attractive but does have that wonderful Escalade Smartphone Instagram Lookout plus a few other closer peeks at the falls. We concluded the afternoon with a quick visit to see how our new home was progressing and ended up having a few drinks with our future neighbors across the street. Anne and Bill are ever-gracious and also gave us a bunch of asparagus from their garden, part of which was pressed into delicious service on top of one of Lori’s custom pizzas later in the evening. It was a great day all around.